There’s something captivating about an old watchtower, isn’t there? Even if it’s crumbling or half ruined, its very nature tells us that there are stories – something to be protected, something to be taken, conquests, danger, mystery. 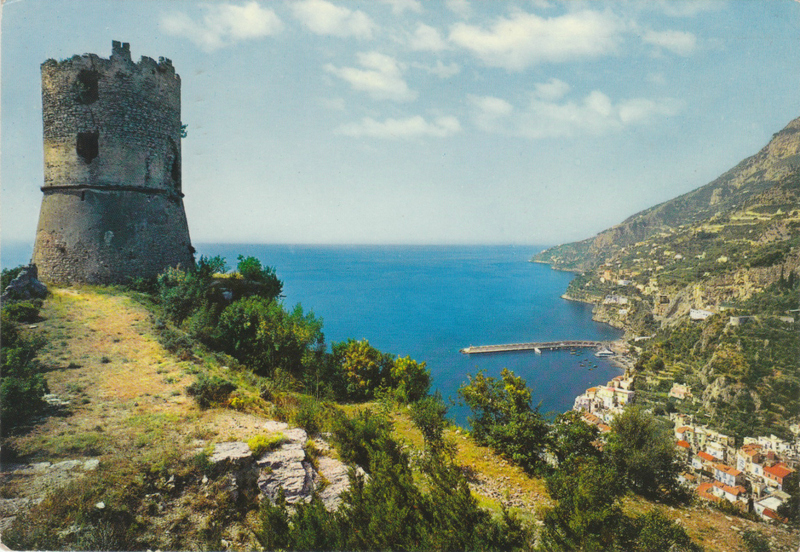 Sitting in the mountains above Amalfi is a watchtower that certainly has its share of mysteries and legends to protect. Called the Torre dello Ziro, this watchtower dates from 1480 when it was constructed on the ruins of a 12th century tower. 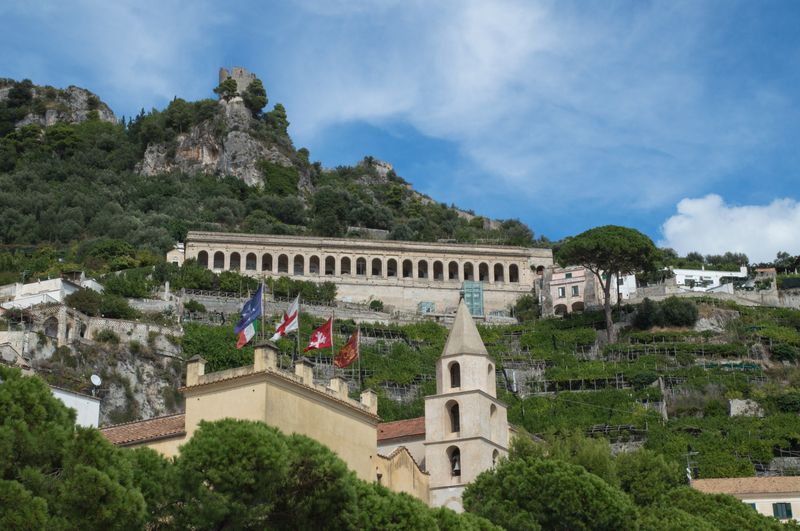 When the tower was built, Amalfi was a wealthy feudal duchy that was run by Antonio Piccolomini, the first Duke of Amalfi. This takes us back to the time when the legends of the Torre dello Ziro began. Antonio ruled Amalfi until his death in 1493, when his son Alfonso Piccolomini succeeded him as the second Duke of Amalfi. 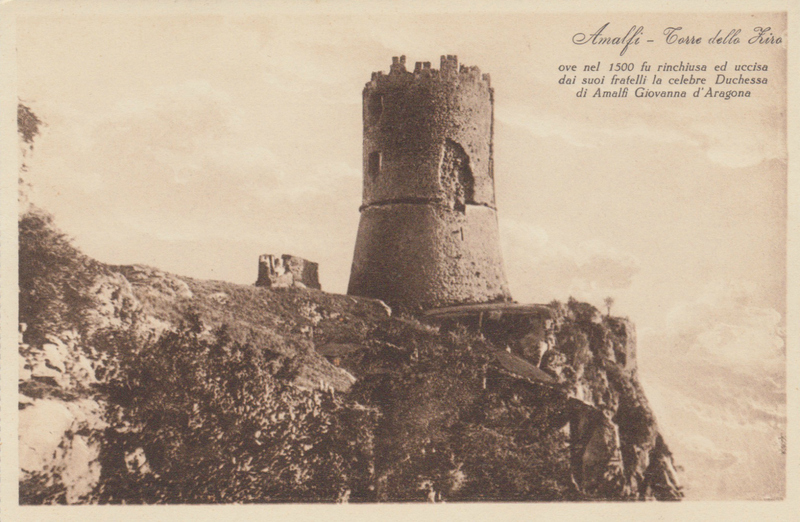 Just a few years before, Alfonso married a beautiful woman named Giovanna d’Aragona, whose name will forever be hauntingly connected with the Torre dello Ziro. As the daughter of Enrico d’Aragona, half-brother of King Frederick of Naples, Giovanna d’Aragona brought royal family connections to her marriage and her role as the Duchess of Amalfi. However, it was a role she was destined to play for only a short time. Her husband’s early death five months before their son was born left her Regent of Amalfi. As if that wasn’t enough drama, Giovanna’s story continues as she rules the Duchy of Amalfi and looks after the education of her children, Caterina and Alfonso – the future Duke of Amalfi. Sounds fine, right? Well that would be until Giovanna fell in love with her steward, Antonio Bologna, who she later secretly married. Too much of a shock to the social rankings of the day, they kept their relationship, marriage and three children together secret. Or so they thought. When Giovanna’s marriage was discovered by her brothers, Cardinal Luigi d’Aragona and Carlo d’Aragona, Marquis of Gerace, her story comes to a tragic end. Antonio fled Amalfi to escape the vendetta of Giovanna’s brothers, eventually meeting his death in Milan. Giovanna was captured with her children, and local legend says that they were all killed in the Torre dello Ziro watchtower. And you probably thought Amalfi was all sunshine and lemons, right? With its royalty, power, loss, ill-fated love and tragic ending, Giovanna’s life and mysterious death have inspired many stories, starting with Matteo Bandello’s Novelle from 1554 and later the better known Duchess of Malfi by John Webster in the 17th century. The legend of her stormy life and sad ending have lingered with the fate of the Torre dello Ziro. 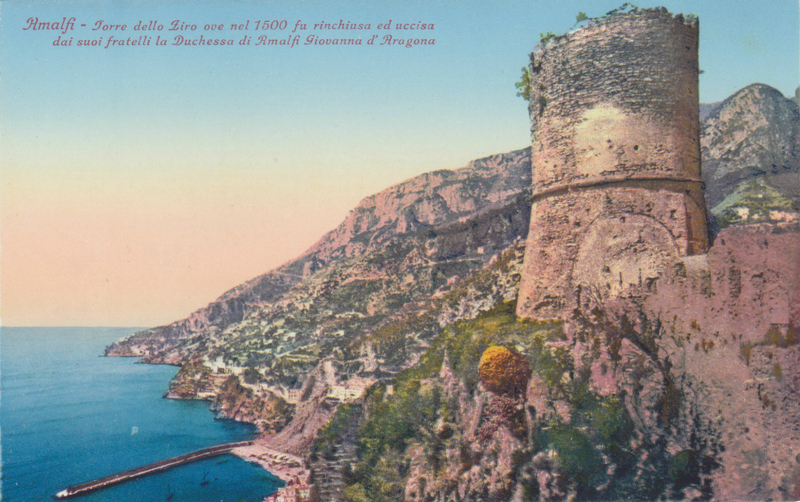 While searching for some vintage postcards to illustrate this blog post, I happened across the two above, likely from the 40s or 50s, that bear the inscription: “Amalfi – Torre dello Ziro ove nel 1500 fu rinchiusa ed uccisa dai suoi fratelli la Duchessa di Amalfi Giovanna d’Aragona.” (Translation: “Amalfi- Torre dello Ziro where in 1500 the Duchess of Amalfi Giovanna d’Aragona was imprisoned and killed by her brothers.” Over 400 years after her death the legend of Giovanna’s death was being sent around the world by visitors to Amalfi who perhaps had that family member or friend with a sordid sense of humor. 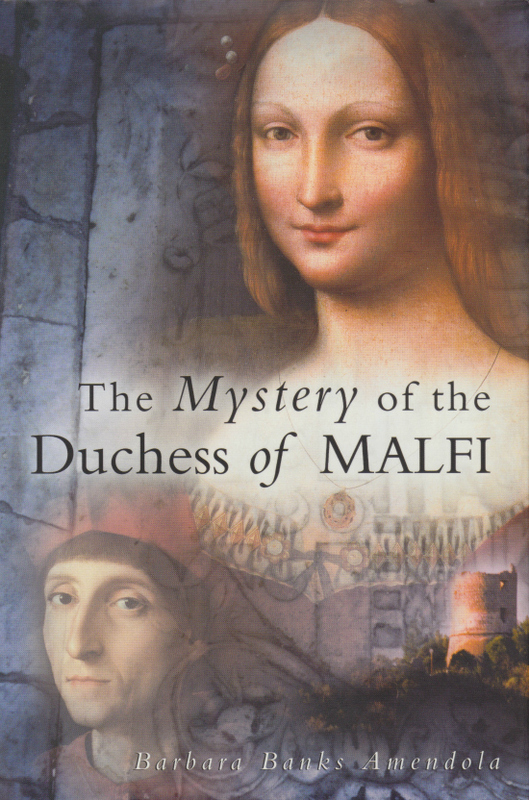 If you’re curious to find out more about this fascinating tale, track down The Mystery of the Duchess of Malfi by Barbara Banks Amendola. This detailed book by writer, art historian and Amalfi Coast local delves into the life of Giovanna and the legend of her death. Despite its connection with Giovanna’s tragic ending, the Torre dello Ziro sits peacefully above Amalfi and offers an incredible viewpoint of both Amalfi and Atrani. 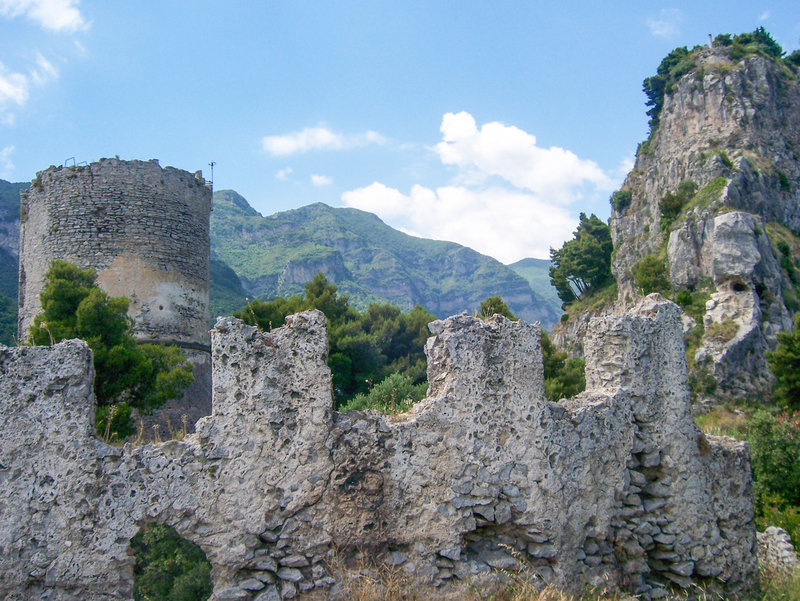 While it cannot be reached from Amalfi, it’s an enjoyable hike from Pontone in Scala to the watchtower. 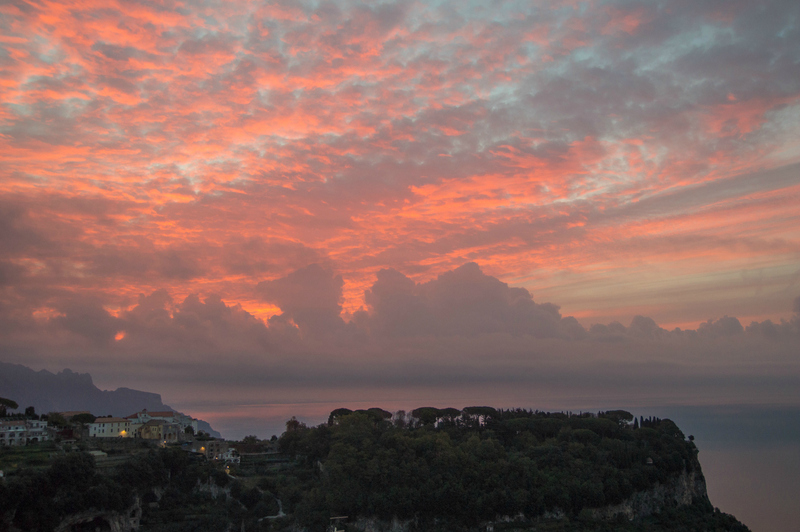 Just imagine what that watchtower has seen in over 500 years of looking over Amalfi. How many secrets does it hold? What really happened to Giovanna d’Aragona and her children? Those are questions we won’t be able to answer and secrets that will remain in the Torre dello Ziro for centuries to come. 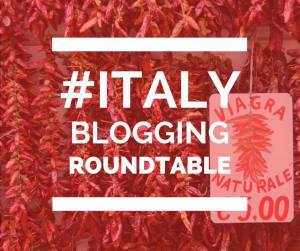 This blog post is part of a monthly series called The Italy Blogging Roundtable. Every month our group of Italy based writers takes on a new theme, and you can read about this month’s topic – Myths & Legends – at the links below. We’d love to hear your thoughts and comments. Please share the stores if you’ve enjoyed them! Sometimes the curiosities of the night and weird places my dreams carry me linger on after waking. I suppose that happens to everyone now and again. This morning I woke up even earlier than usual and couldn’t settle down again to rest. We all carry things from long ago inside us, even if we choose not to think about them, seemingly forget them or try our darnedest to move on. But that’s fine, it’s the way it is. I’ve never been one to focus much on the past—in its good or bad moments—but I think the very nature of being an expat means you have left things behind. Family, friendships, experiences, possibilities. Of course, those are very often replaced by new family, new friends, new experiences and a new world of possibilities. But there is a piece, sometimes large pieces, of your life left behind when you move to another country. I padded across the bedroom floor in the dark and heard my husband stirring. I hoped I hadn’t woken him up, but I sensed he was awake, too. Toulouse stretched in that satisfying way only cats can stretch in the morning and followed me out of the room. I went into the adjacent bedroom and opened the windows. The sky was ablaze with a rose-tinted sunrise over Ravello. In that moment, the sadness of the night’s dreams floated away. It was another day in the place I love most in the world. Wherever you are at right now or whatever things from the past might be weighing you down, there are always new possibilities ahead. Maybe it’s a rose-tinted way of looking at the world, but it makes me smile and look forward to all the adventures ahead!